One of the most important decisions a Council will ever make is the selection of its General Manager/Chief Executive. That person can make or break the Council’s reputation in its endeavours to provide service excellence to its community. That person will also be the catalyst as to the chances of a mayor or councillor being re-elected. And that person will gather around them high-performing staff through their inspirational leadership or they will drive those same staff members away with behaviours that are less than savoury. The Blackadder reputation in helping to recruit outstanding leaders is a thing dear to our hearts. We are values-based, and we love delivering successful results to our clients. And, we love helping those outstanding leaders advance their careers through our executive recruitment and leadership development. Our job in executive recruitment is to identify individuals whose background and experience makes them the ideal fit for a client Council. Primarily, we need executive staff to exhibit the highest levels of integrity and fairness always. I think integrity is probably one of the most misunderstood words in the English language. In my executive coaching I like to discuss what it means to have integrity. The word means a oneness, a whole, being single-faced and not two-faced; being consistent in actions and, my most favourite, doing what you say you will do. It’s about keeping your word and expecting the same from others. Those with integrity take responsibility for their actions, and do not pass off that responsibility to others; they admit mistakes and go to great lengths to fix those issues. Central to this is a complete and unswerving commitment to equality, diversity, and inclusion. All Councils should require that their Executives are totally prepared to lead on these issues. We have had experience of a Councillor openly declaring they would not vote for the appointment of a woman for a general manager role. I am a staunch advocate for equality in the workplace — and we are proud to say we have been involved in the recruitment of 13 female general managers/chief executives. One of the things we do that is quite unique is to run reference checks before interview. The references provided from three different viewpoints — we gather answers to relevant questions from the current employer, from a member of the governing body, and from a community leader. The interview can then be used to draw out aspects identified from the referee reports, and integrity and equality are key issues. A professional is a person who could be formally certified by a professional body or belong to a specific profession, by virtue of having completed a required course of study and/or practice, and whose competence can usually be measured against an established set of standards. Thus, professionalism is the conduct and behaviour expected of such a professional. In local government we have many professionals — town planners, civil engineers, accountants, librarians, to name a few. And it’s their conduct and behaviour that set them apart. The very best of leaders often exhibit very different styles and traits, however, they all exude professionalism. How can professionalism be measured? Perhaps it’s reputation amongst peers; by under-promising and over-delivering; being totally reliable; by their role of leader-as-coach — mentoring and supporting others; having a positive and upbeat demeanour and, importantly within the local government context, having a strong respect for the democratic process. The professional standards exhibited by a new General Manager sets a strong example for all staff to follow, to replicate this behaviour. During the interview process, look out for candidates who exhibit professionalism: those whose answers are clear, coherent, and confident; who make a point of emphasising their role as a mentor; who give concrete examples of delivering on their promises, and who demonstrate standards of conduct that are beyond reproach. Most senior staff are good talkers, they succeed in their role largely due to their interpersonal skills, as opposed to their technical competence. However, leadership is ultimately measured by results. Successful leadership and a focus on organisational performance go hand in hand. This involves creating a performance system and culture, where work is conducted in a methodical and strategic way, focusing first on priorities, and setting up systems to measure performance improvement and identify any shortfalls. Candidates, during the interview process, need to be asked questions to bring out actual examples of their current performance systems and how they have delivered improvements in their current or past roles. Eliciting answers to these types of questions will tell you a great deal about a candidate’s ability to focus on improving business performance. They should be placed on the spot to quote statistics that can be checked later. Perhaps one of the most important tasks of any general manager/chief executive is to paint a picture of the future and inspire staff to perform at a high level to deliver that future. Hence, the need for a credible Community Strategic Plan and the need for an inspirational leader to fire-up everyone to strive towards collective success. Indications as to whether a candidate possesses the ability to inspire can be achieved by enquiring how their current employees would describe their leadership style. And, whether a staff climate/opinion/engagement survey has described their leadership in the organisation — and whether 360-degree appraisals are used and what actions are being taken by the candidate to improve their leadership this year. All of us are, to an extent, flawed. Those who promote themselves as infallible, fail to recognise their own limitations. Leaders need to take responsibility for their words and actions. They need to gain a self-awareness of their leadership style and those behaviours that they might not realise are impacting others in a negative way. Being able to recognise their flaws and then do something about them helps endear leaders to the rest of the team, especially if the team is part of the solution that helps the leader to effectively address those flaws. A 360-degree assessment can be quite confronting — they provide the opportunity for staff to rate their boss — and some people don’t like what they see and hear. Reputation is how other people see you, and it’s not how you see yourself. So, 360s often reveal to some that they need to change. And, if a general manager can hold their hand up and say, ‘yes, I will change,’ the staff will have a greater degree of admiration for the boss, and can be inspired to work harder to help the boss be a better leader. It’s often useful to ask candidates to describe a time when they failed in an endeavour, and how they managed the situation. Or, what they are working on this year to be a better person and a better leader? Accountability is taking ownership for an issue — and we have found that those leaders who have a self-awareness of their leadership can take charge of making changes. The old adage that there is no ‘I’ in team is so true. In the way in which we are structured and led, the core value of ‘Affiliation’ is so important — a person who supports and promotes teamwork. A brilliant, but maverick individualist will find it difficult to survive in a team environment. In saying this it is also important to strike the balance — between a leader interacting with the team and still maintaining authority. Leaders are not required (nor are they qualified) to be able to tackle all the tasks of the team. What is important is that they know the strengths and limitations of team members and can rally support and inspire them to even greater achievements. During the interview process, ask candidates to provide an example of how they achieved a particular goal by improving the performance of a team. Truly talented leaders have the ability and confidence to make intuitive and sometimes risky decisions. From this type of ‘gut instinct’ decision- making, remarkable things can happen regardless of reams of reporting and statistical analysis. While this type of decision-making is more commonly found in the private sector, Councils too can benefit from this type of approach, particularly when they are seeking to make structural and culture change. Candidates might be asked to describe a time when they took a risky decision that paid off, along with the process they went through while taking the decision. They might also be asked how they minimised the risk involved. A general manager plays a unique and vital role in any Council. They are the interface between the political leadership of the Council and the administrative arm, the staff. This requires a range of skills — ongoing diplomacy, mutual respect, and strong communication among them. Working to promote the Council amongst community groups, local businesses and the media is vitally important too. The general manager has both an internal and external focus. Candidates should be able to provide examples from within their ‘track record’ of harmonious working relationships with elected members and the community. A great leader doesn’t feel the need to micro-manage. They are strong and supportive delegators of tasks, and they don’t constantly ‘check-up’ on their staff and interfere in every minute detail. Not being a micro-manager promotes trust in a culture of growing responsibility, and it encourages colleagues to become more independent and productive. This in turn, provides the ‘space’ which enables leaders to be clear, decisive, and disciplined at the macro level — to have time to deal with the big strategic questions the Council is facing. It’s about ‘working on the business’ whilst at the same time looking after the operational stuff. Candidates can be asked about their ability to delegate and how they stay focused on issues of ‘strategic’ relevance — without of course taking their eye of the performance of Council services. Every Council should want their executives to exhibit enormous pride in their place — the shire or city or rural or regional area — as well as their organisation. Again, it’s the issue of reputation — what do residents and visitors think about our place, and what do service users think about our delivery? Measuring satisfaction through survey is absolutely vital to knowing how well you are performing. Councils want leaders who are enthusiastic and immensely proud of their place and their achievements. With pride it is likely there will be enough ‘fire in the belly’ to inspire the Council on to even bigger and better things. Interviewing panels should want to hear about what candidates are ‘most proud of’ during their career. The interview, important as it is, is only one part of the recruitment and selection process. Ensuring that the entire process reflects the Council’s values is vital and this involves much more than the interview. It starts with facilitating a workshop with the Mayor and Councillors (or recruitment panel) to identify the skills and attributes sought in the new general manager. This in turn affects the design of the position description, the advertisement, the search for candidates who might have the required skills and attributes, the salary level, interview, and referee questions. We also use personality profiling to identify the type of leadership each short list candidate will bring to the role. We have been using Hogan Personality assessments since 2011 and we have experience with over 1,100 assessments in our recruitment and leadership development. 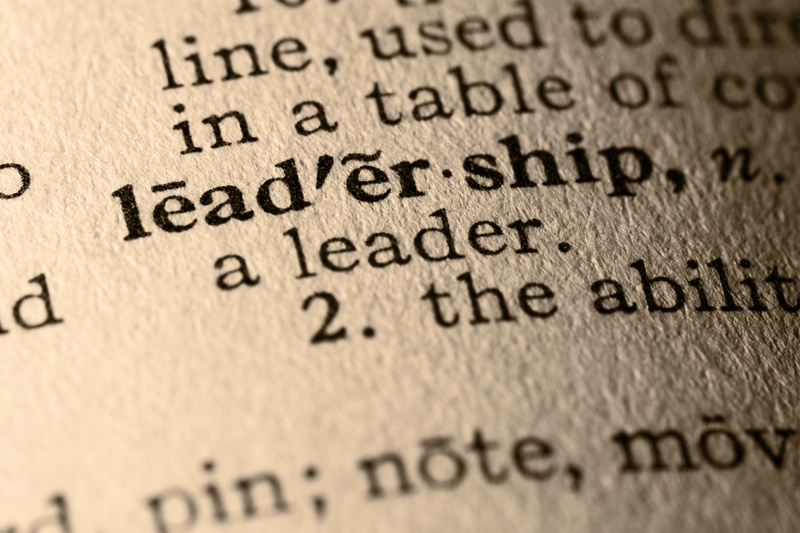 The value is in being able to compare the type of leadership each person is likely to bring to the role. The assessments can identify how altruistic a person is, how commercial they are, and how sociable they are — to name a few. Blackadder Associates consultants are passionate about helping Councils recruit and select the very best leaders into Australian local government. In an age where quality standards are expected by our communities we need to apply a high degree of professionalism in conducting the recruitment process. I hope you found the above observations of value and if we can help with your recruitment or leadership development please contact me or any of the team at Blackadder for an informal discussion about your requirements.